The United States Postal Regulatory Commission revised and approved new 2012 USPS Certified Mail Rates that became effective January 22, 2012. Last year the United States Postal Service was seeking permission to increase Postal Rates in 2011. The increase represented an average of 5.6 percent to offset the USPS losses in recent years. The Direct Marketing Association (DMA) and other businesses were concerned what impact the 2011 rate hike would have on business and became very vocal about the proposal. 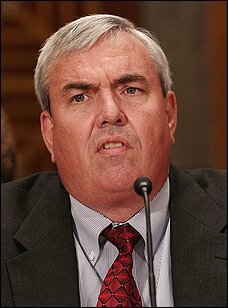 The Postal Regulatory Commission reached a unanimous vote declining the USPS rate increase in 2011. The reason for the decline was the lack of a solid feasible business plan for “overcoming the fundamental quandary USPS faces.” The Commission concluded the current budget problems and a number of rate cutting measures needed to be taken by USPS first. The USPS Certified Mail Special Service rates and First Class postage rates increased the cost of sending Certified Mail with green cards to $5.75. USPS Certified Mail letters cost is made up from three postage fees. The new 2012 Certified Mail Special Service fee costs $2.95. Second, the Return Receipt service is available in two options. The old fashioned green card price costs $2.35 for each letter, or the Return Receipt Electronic service can be used and costs $1.15 in place of the green card. The third and final postage fee that makes up a USPS Certified Mail letter is First Class postage. The one-ounce rate increased to $0.45. 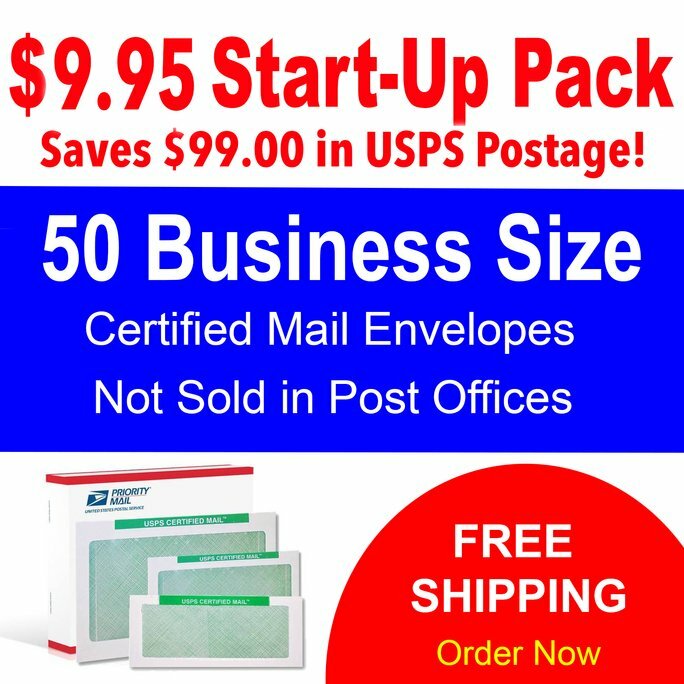 How Can I Reduce USPS Certified Mail Costs? You can reduce the costs to send USPS Certified Mail by using the Electronic Return Receipt – ERR in place of the old fashioned green card Return Receipt. The Return Receipt Electronic provides the final delivery confirmation signature from USPS when your letter is delivered. This reduces the total cost of each letter from $5.75 to $4.60. It is a true $1.15 cent postage savings per letter not to mention the time savings. Certified Mail Envelopes includes Electronic Return Receipt with proof of mailing, in-route tracking and proof of each letters delivery with each Certified Mail Envelope. This eliminates those forms or peel and stick labels. Just address your letter online and print the cover page on your local printer. Slide the address cover page into the envelope add postage and mail. It’s fast and easy. No more labels, or forms to fill out. No more green cards – and you can mail your letter from any mail box. You can try the service by signing up for the free trial. No credit card is needed. You still need to add postage ($2.95 + $0.45), but you can save the cost of the $2.35 green card return receipt fee. This free trial allows you to see how the Electronic Return Receipt works. You get setup with a web based login to address, print address sheets, track and report each mailing. You have access 24/7 and they file and store each Electronic Return Receipts for 7 years automatically. 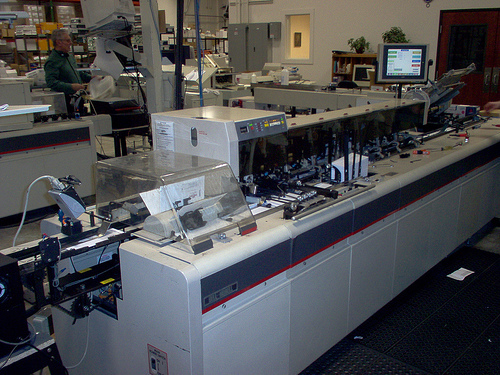 USPS has approved Certified Mail Envelopes so the process is fast and easy to use. No monthly fees or hidden costs. All you need to do is add postage. Follow this link to read more about the Electronic Return Receipt – ERR. Last year, in 2011 USPS Certified Mail Postal Rate Increases included the After Mailing cost to purchase the Return Receipt Electronic Signature. This cost was proposed to increase $0.25 to $4.85 per letter. USPS said the new postal rates must go up to help cover a potential $7 billion loss projected in 2011. Each additional ounce of weight would also increase from 17 cents to 18 cents. The USPS must prove “exceptional or extraordinary circumstances” in order for the new Postal Rate Increase in 2011 to the Postal Regulatory Commission (PRC) to approve prices above the rate of inflation. The PRC will approve the request if it finds pricing above CPI to be “reasonable and equitable and necessary.” The country continues to work through the worst recession since the 1930s. Key business customers have been devastated and have withdrawn from using the mail: credit card companies, financial institutions, real estate companies, retailers. USPS mail volume has plummeted by more than 25.6 billion pieces, or 12.7 percent, in one fiscal year. Total volume stands at 177 billion pieces. USPS First-Class Mail is the highest revenue contributor to the Postal Service bottom line and also the fastest volume decline. Mail volume in general has declined at a higher rate than it did following the terrorist attacks of 9/11. More and more Americans are switching to electronic alternatives, further eroding a dwindling customer base. The Postal Service seeks to balance its financial challenges against the needs of its customers through a moderate increase and to gradually increase some prices to improve their financial performance while mitigating the effect on customers. Experts believe future price increases can be greatly alleviated if the Postal Service was deregulated and became more competitive or given the tools necessary to be a more flexible, customer-focused: change delivery frequency, restructure the pre-payment of retiree health benefits and expand access to products and services that are more convenient to customers. 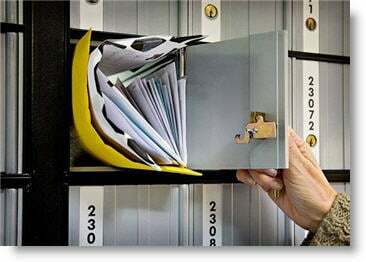 Included in this new proposal is stopping delivery of mail service on Saturday. A significant USPS price increase is under consideration that will impact 2011 USPS Postal Rates & mailing costs including special services mail like USPS Certified Mail. This includes many of the USPS Special Services that include USPS Certified Mail with Return Receipt Requested service, USPS Certified Mail Restricted Delivery, and USPS Registered Mail. For many consumers the initial focus or cost of mailing a First Class letter may appear to be increasing $0.02 per letter, however due to many new financial and regulatory requirements in banking, health care and lending the cost of sending compliance letters by USPS Certified Mail in 2011 could be much higher.